Lean Thinking: Ethical Failures in the US Navy & Air Force Nuclear Programs? Ethical Failures in the US Navy & Air Force Nuclear Programs? 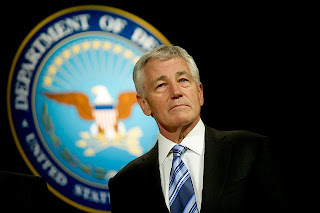 Concerned that ethical problems inside the military might run deeper than he realized, Defense Secretary Chuck Hagel ordered service leaders Wednesday to add urgency to their drive to ensure "moral character and moral courage" In a force emerging from more than a decade of war. You may have read the story: Cheating allegations against about 30 senior sailors representing about one-fifth of its instructors at a Charleston-based school for naval nuclear power reactor operators. Similar allegations against nearly 100 Air Force officers responsible for land-based nuclear missiles that stand ready for short-notice launch. Our regular readers will recognize the following theme central to our blog - (& in all my stuff). Ethics is to management, as standardized work is to manufacturing. Without STW, you can’t build anything worth a damn. Without Ethics, you can’t manage yourself, let alone a team. In my view, the Navy and Air Force are absolutely right to take this stuff as seriously as they have. Integrity entails adherence to standards – ethical, as well as, safety/technical standards. If somebody can’t or won’t adhere to the former, why would they adhere to the latter? An appropriate test for people who might one day be handling nuclear weapons.